ISTANBUL (AP) — Recep Tayyip Erdogan has held plenty of grand opening ceremonies in his 15 years at Turkey's helm. On Monday he will unveil one of his prized jewels — Istanbul New Airport — a megaproject that has been dogged by concerns about labor rights, environmental issues and Turkey's weakening economy. These projects are spurring additional construction of transportation networks, housing and business centers in already overpopulated Istanbul, where more than 15 million people live. 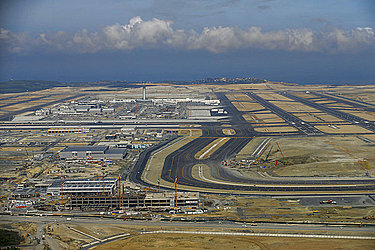 Samsunlu, the airport executive, said an "airport city" for innovation and technology would also be built.